The Alfa Romeo 2600 launched at the 1962 Geneva Motor Show as a Berlina Sedan, a Spider Convertible and a Sprint Coupe. Designed by Bertone, the 2+2 Sprint offered a 6 cylinder 2584cc engine with a 5 speed transmission. The 1965 Alfa Romeo 2600 Sprint represents the last of production prior to the 2600 Sprint Zagato. Thinking about buying a 1965 Alfa Romeo 2600 Sprint? ER Classics is at your service! 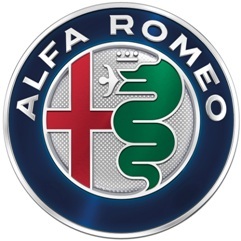 There were more than 11000 Alfa Romeo 2600 cars manufactured, of which approx 6999 were Sprints. These cars were built prior to advancements in rust protection, so rust can cause trouble. Its important to buy the best condition car you can afford. If youre thinking about buying a restoration project, always be sure to consider the restoration costs in your overall budget. For more tips for the 1965 Alfa Romeo 2600 Sprint, do not hesitate to contact ER Classics today. Tour our online inventory to view the Alfa Romeo 2600 classic cars currently in our showroom in Waalwijk.